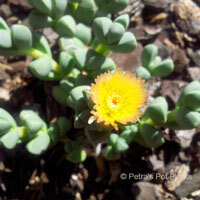 With spectacular lemon yellow flowers, this rather unusual little succulent will grow and thrive in most conditions. 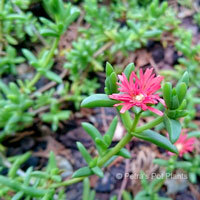 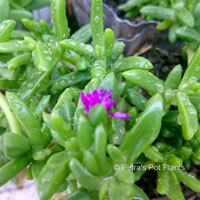 It is drought-tolerant, salt-tolerant, and is not fussy about its soil. 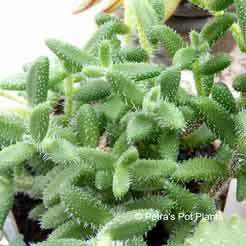 Pickle plants, like other ice plants have short green fleshy foliage in opposite formation along a its stem, with trailing stems forming an attractive and interesting groundcover. 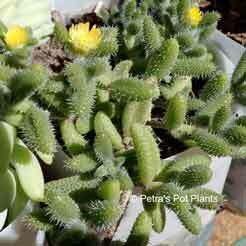 This particular delosperma has furry leaves. 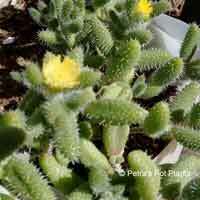 It can tolerate full sun or shade and will flower in spring.